A few months ago I created a 101 in 1001 list of all the things I would like to try/learn/accomplish in the next two and 3/4 years. Shortly after publishing said list, I text my mother-in-law (who will henceforth be known on HH&SS as ‘Mama Joan’) to ask if this summer she would teach me to can. My in-laws grow a large garden and when you walk into their basement it’s like walking down the canned good aisle of Kroger’s, but 20 times prettier and more eclectic with the variety of Mason Jars lining the shelves, their internal contents on display forever preserving their once garden-fresh state. 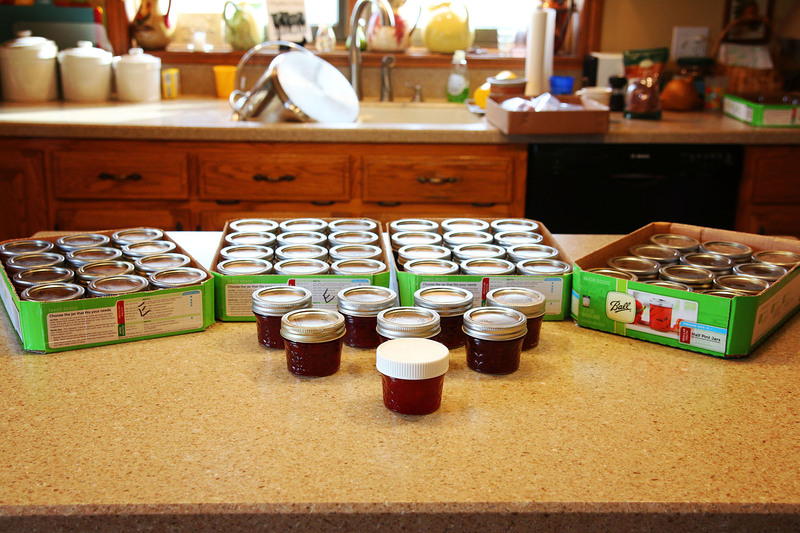 So needless to say, I knew if anyone could teach me their canning-pro ways, it would be her. Months went on, the beginnings of summer started to creep in, and My Someone left town for a couple of weeks for a trip through the Denver/Chicago/DC areas, I was beyond excited for this opportunity for him, but as the still-adjusting-to-Kentucky-Okie who works from home, I. was. lonely. 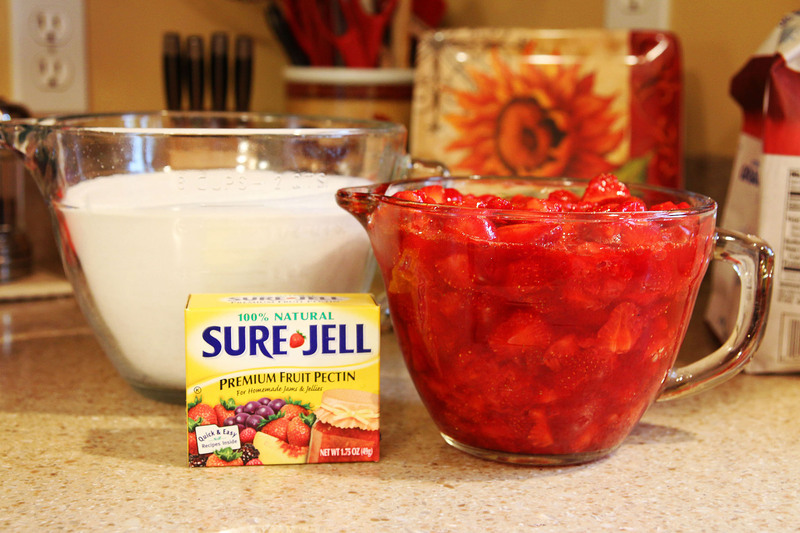 So when Mama Joan asked me if I wanted to make strawberry jam with her, the timing couldn’t have been more perfect. 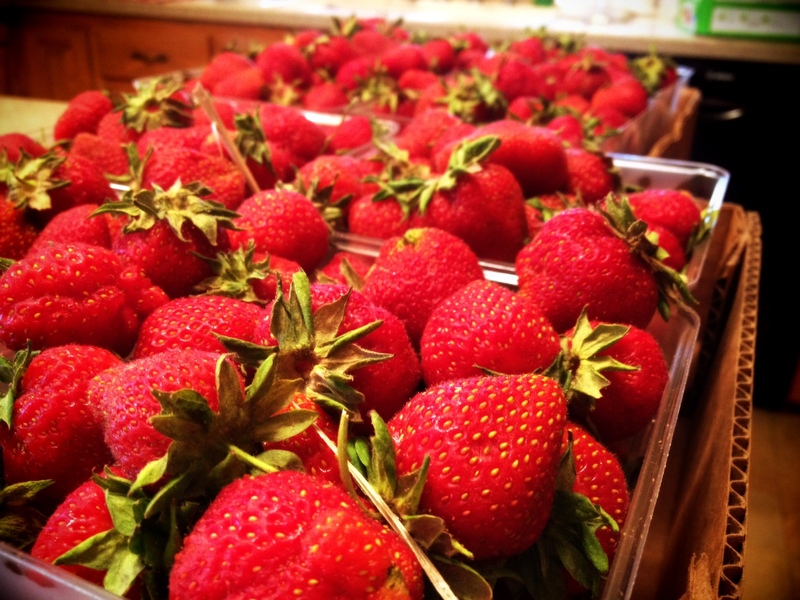 I am beyond convinced there is not a prettier color than strawberries in season. ‘Capping,’ slicing and mashing is how this process begins. Slightly labor intensive if you’re a newbie attempting this journey solo, but for Mama Joan and I, who had plenty to chat about, the prep work sailed by quickly. 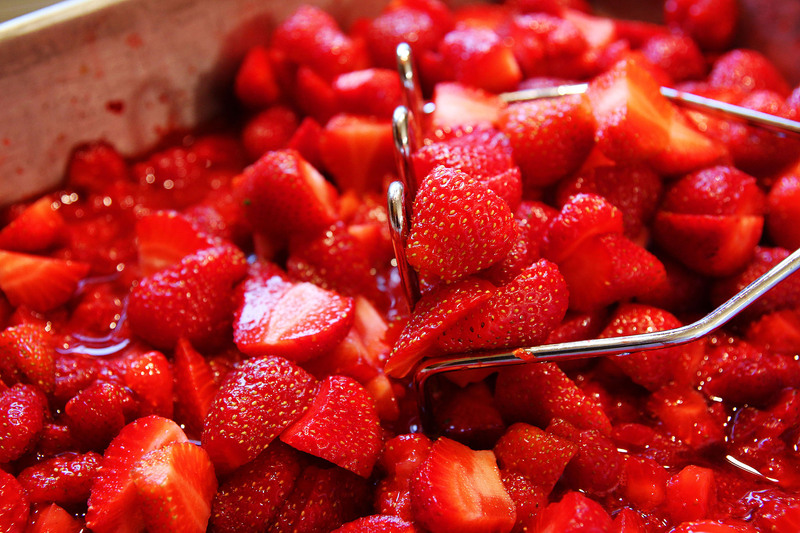 After the strawberries were smooshed and ready to go, we did things and stuff, and stuff and things, and made the jam. I’d give instructions, but we used those that are included in the SureJell box, so if you are reading this, then I’m pretty confident you can ace those inclusive directions. I wish you could smell photos, because lemme tell ya, it was heavenly. If you don’t know my MIL personally, I’ll let you in on a little secret, she is, in fact, the queen on multi-tasking. 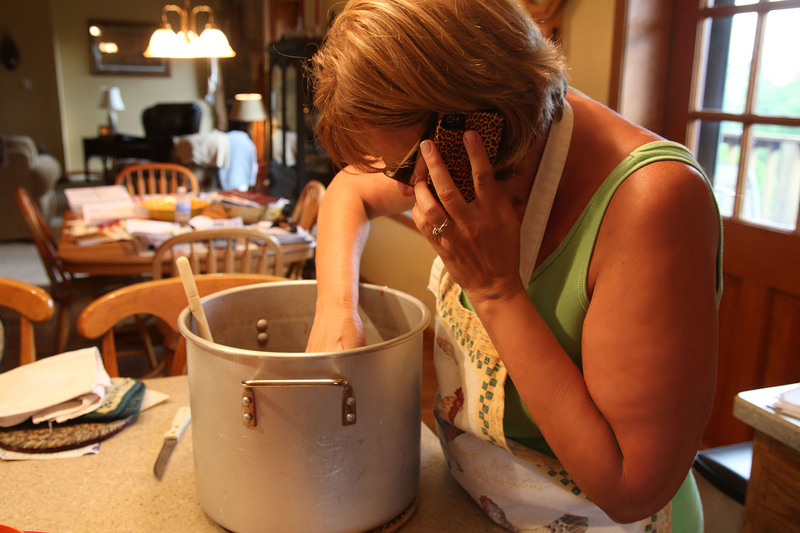 Case in point: In this photo she was business handling, cell phone conversing and canning instructing all at the same time. 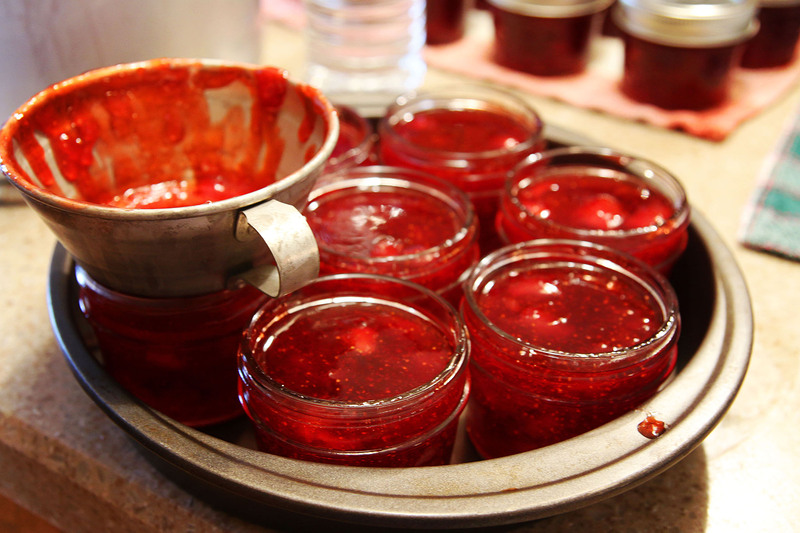 It is important to note while jam is in it’s final stages of canning, this is the point where spoons are passed out and anything left in the pot that made the strawberry greatness is scraped out and consumed. You have to do it, Mama Joan said so. It’s like invisibly written in between the lines of the instructions. You. Do. Not. Waste. Deliciousness. Y’all. My breakfast toast is going to be happy for months! Now that I’ve gotten my feet wet in this canning business, I’m looking forward to learning more, especially when my in-law’s garden matures and canning things like salsa and pickles become a possiblility. Do you can, or have someone in your family that does? What was your first thing to try, or maybe your favorite to make? Joan is awesome!!! I’m so proud of my eldest Cajun baby, Oklahoma raised girl, & Kentucky wed woman. Your strawberry jelly was delicious!!! Yummmmmmmm! My mouth is watering. I’ve always wanted to get into canning too. What a great bonding experience. Sounds like you and Joan had a good time making jam. Yeah for you to try something new. I have never canned. 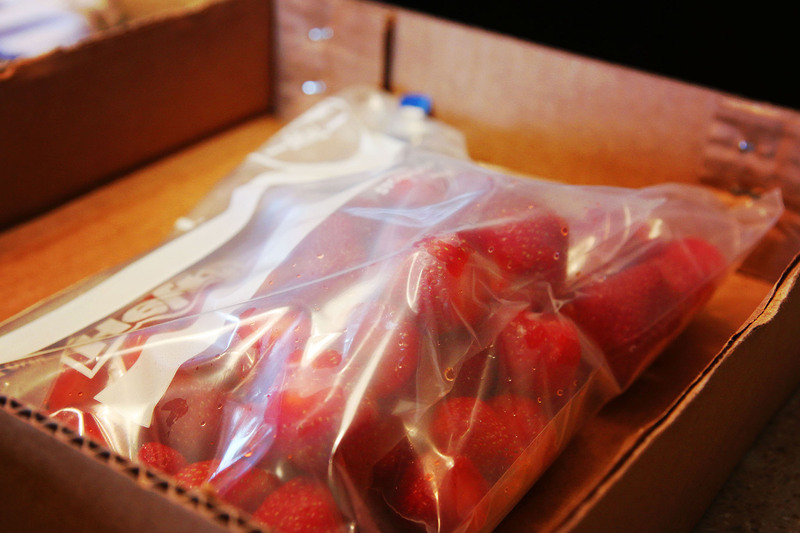 Growing up we blanched and froze our garden produce. I make freezer jam and freeze the sauces I make. I have a friend that does pickles by canning and heating them in the oven; I would like to try that this summer. Sounds like it was a great time! 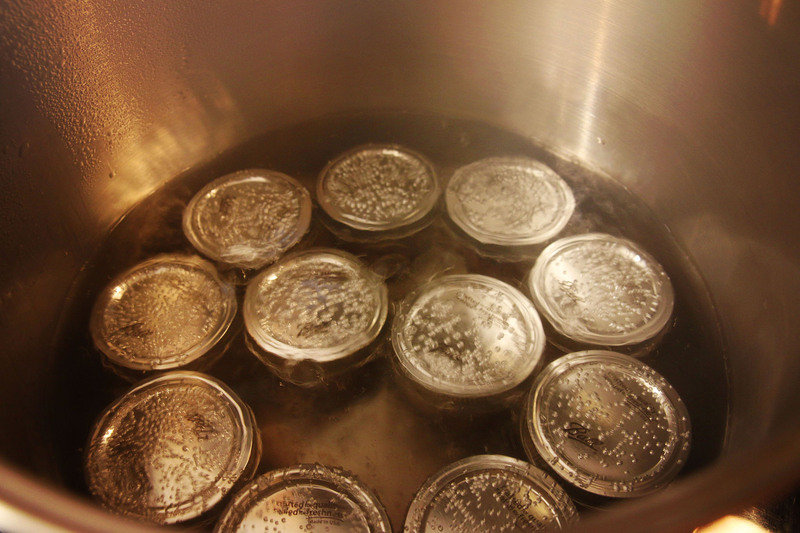 Canning is quite fun – and once you start you want to try this recipe… and that one…. just one. more. It never stops. Pickles are another great one to try and pretty easy! 🙂 My family canned a lot when I was younger. My aunt still does tons every year, and I inherited all my mother’s (and grandmothers) supplies, so I’m trying to get more in. Luckily, my brother is also into it, so I expect to see him more often even if its just to come and use my canner! I learned to can some pepper jelly last summer, but I didn’t end up using it much 😦 I wanna get a real pressure canned and can more. Oh I did salsa too in the water bath canner and that was good! 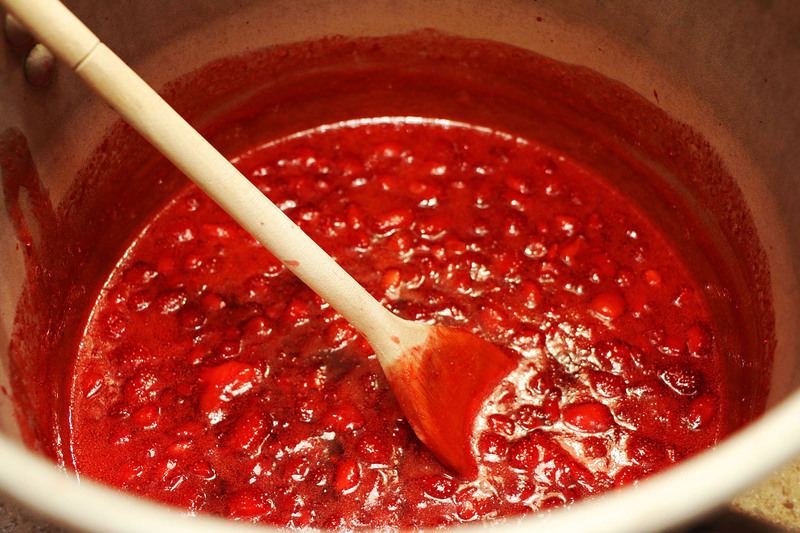 My MIL does strawberry jam also. Must be a super cool MIL thing 🙂 She freezes it though, but I’ve never actually made it with her. I should get on that! Yummo!!! Yes Joan is the Queen of multitasking! Just one of the many reasons she is my she-ro!! !